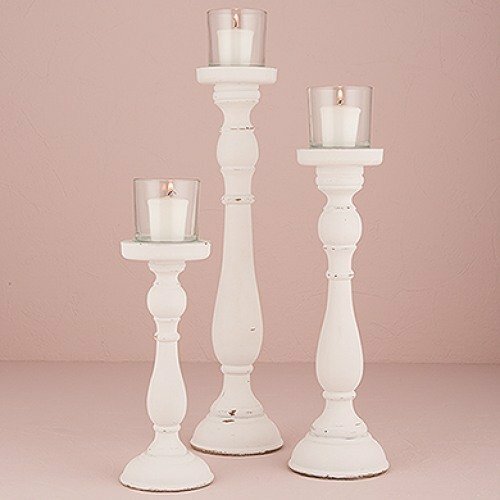 This shabby chic spindle candle holder set is a great way to add extra chic details to your elegant soire! This set comes with three candle holders in varied heights with a weathered white design and glass votives placed on top. Just add you favorite scented candles and you've got an elegant addition to your decor. Perfect for centerpieces!